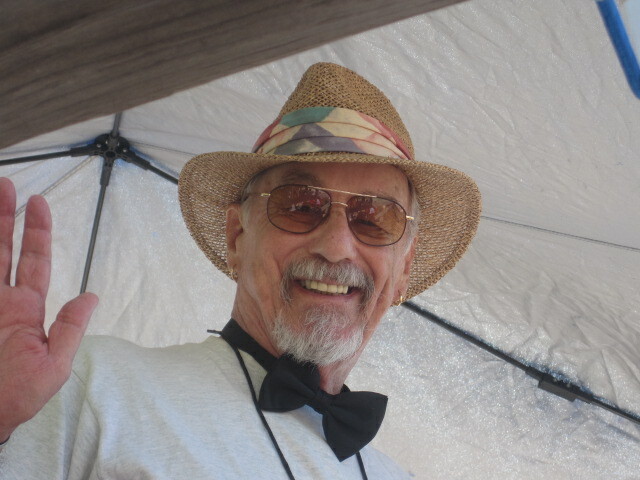 The founder of the Winter Star Party, Tippy D’Auria, has passed away just shy of 83. D’Auria and his wife Patty had the idea of a southern Florida winter observing event, somewhat like other star parties of the era. They went to the board of the Southern Cross Astronomical Society in Miami, and received permission to do the event. The Winter Star Party was established in 1984, with the first few held in the Everglades. The Winter Star Party was then moved to the Florida Keys, where it has been held ever since, except after hurricanes Georges and Irma. During those years (1995, 2017), the Star Party was held at Chiefland Astronomy Village. Even though Tippy is best known for the Winter Star Party, he was also a talented observer, photographer, lecturer, and writer. He really knew the night sky and could often be found out with Patty, a few others, and his 17-inch Tectron Dobsonian-mounted reflector looking for all types of deep-sky objects. In 2001, Tippy joined an elite group of planetary astronomers to record a predicted flash in the Edom Promontorium region on Mars. The flash was recorded on video by D’Auria and Donald Parker and is the only known video of the event. Their observation was announced in IAU Circular No. 7642. D’Auria taught Creative Photography and Darkroom Techniques for five years at Miami Dade College. He was also one of the cold-camera pioneers. Showing his diverse interests, in April 2001, Tippy led an expedition to Costa Rica to film a National Geographic documentary entitled The Volcano Hunters. D’Auria was a sought-after speaker, literally giving hundreds of talks over the years. Tippy also wrote some darkroom techniques for Introduction to Observing and Photographing the Solar System by Dobbins, Parker, and Capen, and co-authored, with Vic Menard, Perspectives on Collimation - Principles and Procedures. Tippy was also a submariner, which he talked about with great pride and enthusiasm. He served aboard the Unites States Navy’s USS Trumpetfish (SS-425), and was active in submariner and Trumpetfish activities until his passing. Tippy received great recognition for his astronomy contributions, from the Astronomy Outreach AstroOscar to most recently the D’Auria Medal, named in his honor. In January 2001, he was honored by the International Astronomical Union with the naming of an asteroid, 11378 D'Auria.